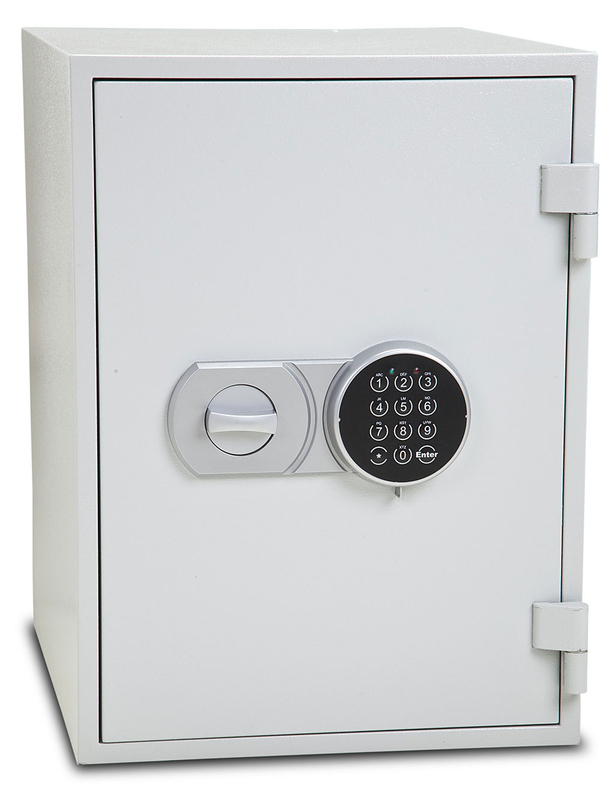 A compact, lightweight fireproof safe, the Firebrand MKII from Burton is ideal for protecting papers or documents in the home or office. 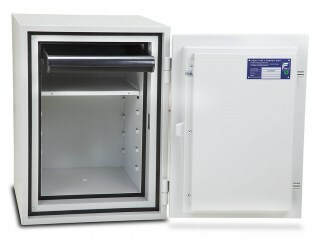 Certified by the ECB-S for fire resistance, the Firebrand MKII provides 60 minutes of protection to the LFS standard. An easy to use electronic lock is fitted as standard. This features an external battery pack to prevent lock outs, as well as emergency key opening in the event the PIN code is lost or forgotten. 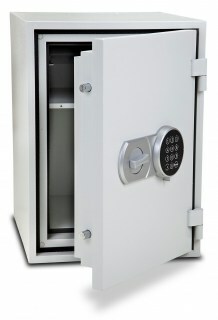 Batteries are included with the safe. 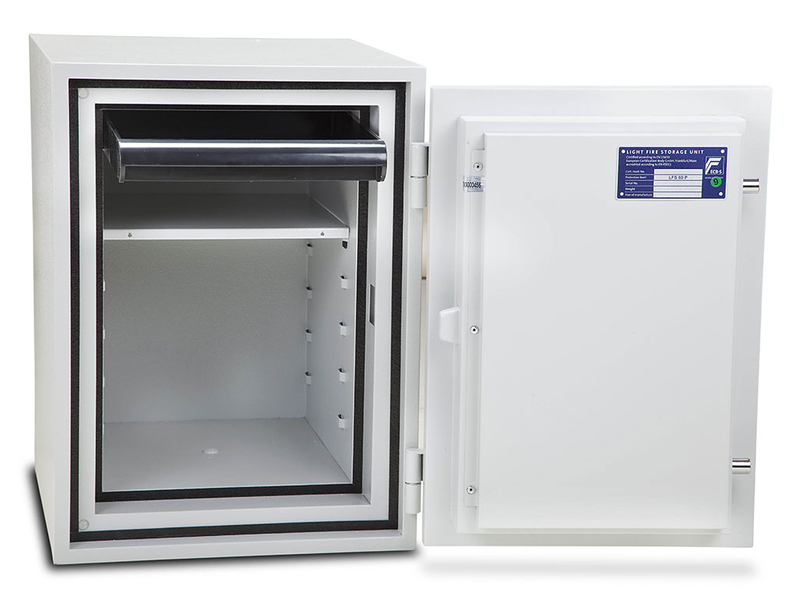 Each safe in the range is fitted with a convenient pull out tray, ideal for keeping smaller items organized. Sizes 2 and 3 are also fitted with a removable shelf. Dead bolt locking keeps the door secured even if the hinges are cut off. 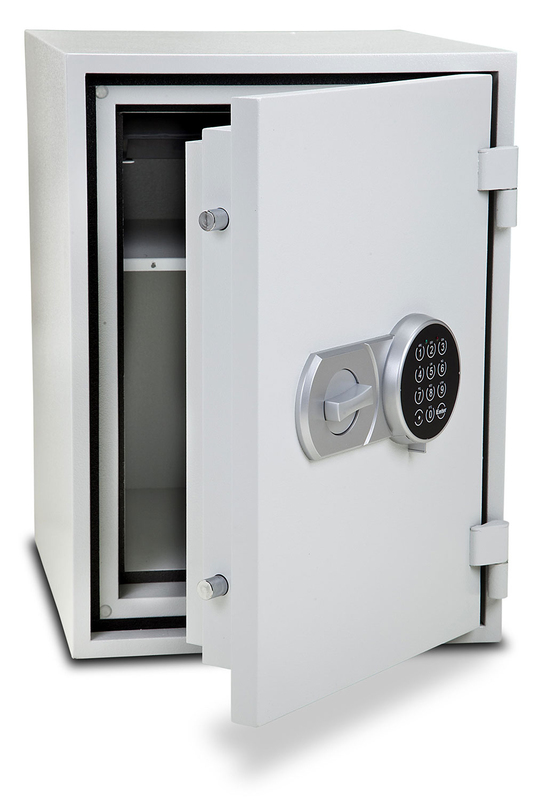 Base fixing allows the safe to be anchored to a cement floor for increased security.